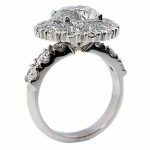 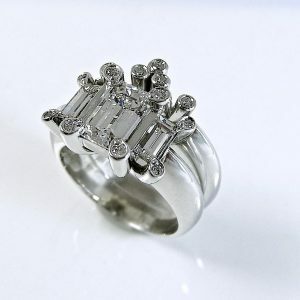 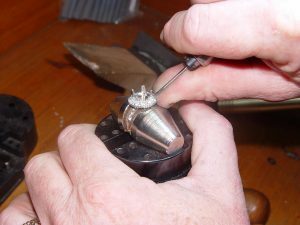 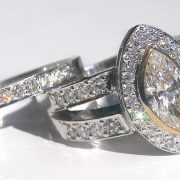 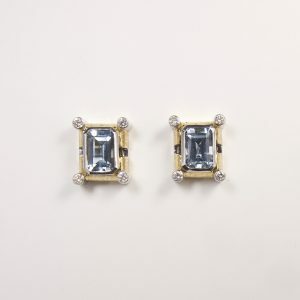 Emerald cut Aquamarine with diamonds set in white gold, with textured yellow gold and cut out accents. 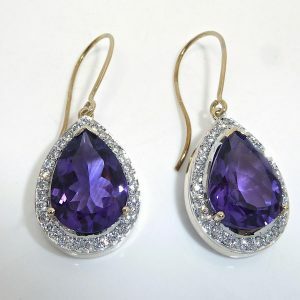 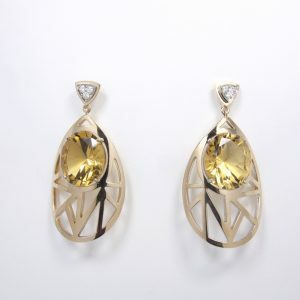 The Art Deco inspired cut outs are harmonious with the Yellow/Orange Citrine gemstones. 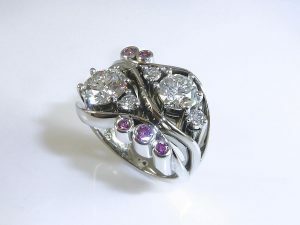 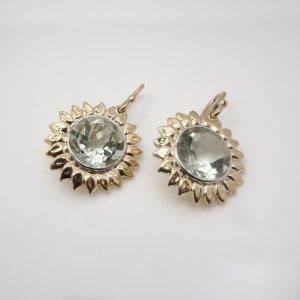 10mm round Green Amethyst Sunflower Earrings. 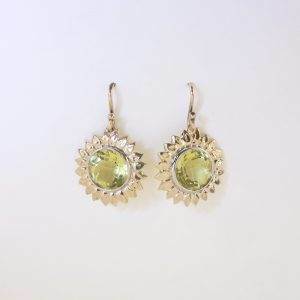 Custom Cut 10mm round Lemon Quartz Sunflower Earrings. 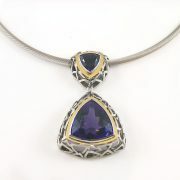 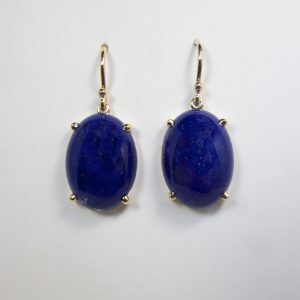 Pyrite flecked Lapis Lazuli and yellow gold double bezel earrings.